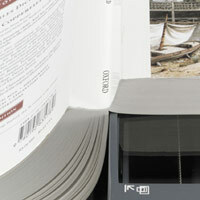 Introducing a simple, innovative solution to scanning books. With Plustek's patent pending SEE™ (Shadow Elimination Element) Technology, any book can lie completely flat on the scanning glass. The result is a perfectly scanned image with no annoying book spine shadow and no distorted lines of text. In contrast to professional book scanners which are targeted mainly for large libraries, archive museums, and corporations with big budgets, OpticBook 3600 offers an affordable solution for all libraries, copy rooms,students, teachers, universities, SOHO, law offices, publicists, and work groups. 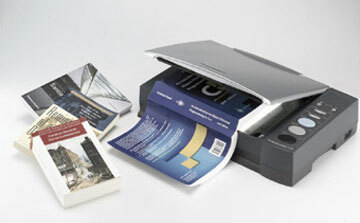 The OpticBook 3600 brings affordable value in its unique design, eliminating the book spine shadow and text distortion of traditional book copying and scanning. Our clever design avoids the need for a large, expensive overhead scanner or complicated image-editing software. Whereas professional book scanners target mainly at large libraries, museums, or corporations with big budgets, our book scanner is affordable to individuals, students, families or small group users as well. Seven one-touch buttons are designed to make your scanning easy and efficient, whether you're using bound originals (e.g., books, magazines) or normal paper (e.g., photos, documents). With just one touch, you can save the scanned images or convert images of the text document into text files that can be edited with a word processor. You may also choose to send them to another application for further editing, to a printer, or to a new e-mail message as attached files. Plustek's patent pending SEE™ (Shadow Elimination Element) Technology includes a specially designed edge and lamp. This revolutionary technology allows half of the book to lay completely flat on the glass with the binding against the corner edge. Click here for more information.